The purpose of Family Weekend is it’s the University’s official invitation to all family members of students to come to Pitt, enjoy some great family-friendly activities and shows, help us root on our football team, and get to see the campus on a beautiful fall weekend. 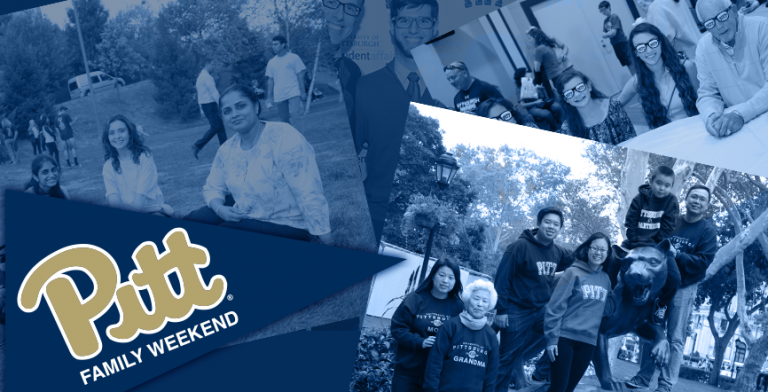 Pitt Family Weekend 2019 will be September 27-28, 2019! Check back often for more updates as we get closer!